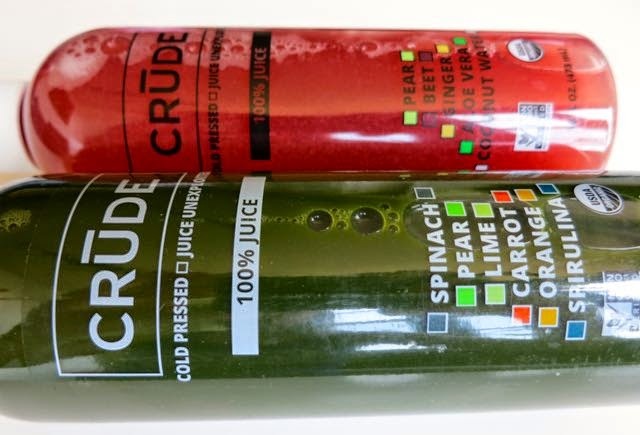 Crude means unrefined and is a fitting name for the new line of beverages put out by 19-year old Brett Robinson of Robinson Beverages. 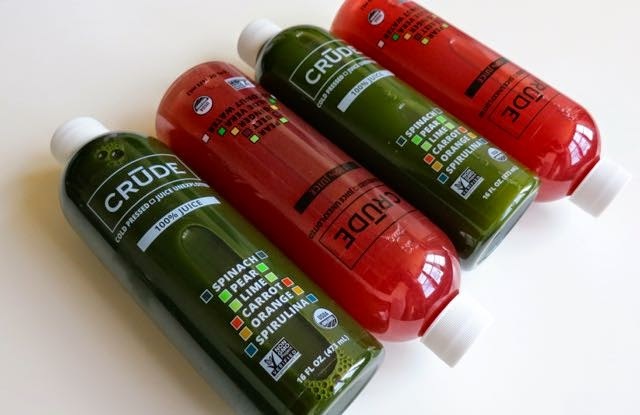 CRUDE juice is cold-pressed juice made from simple, high-quality, whole-food ingredients out of Bloomfield Hills, Michigan. 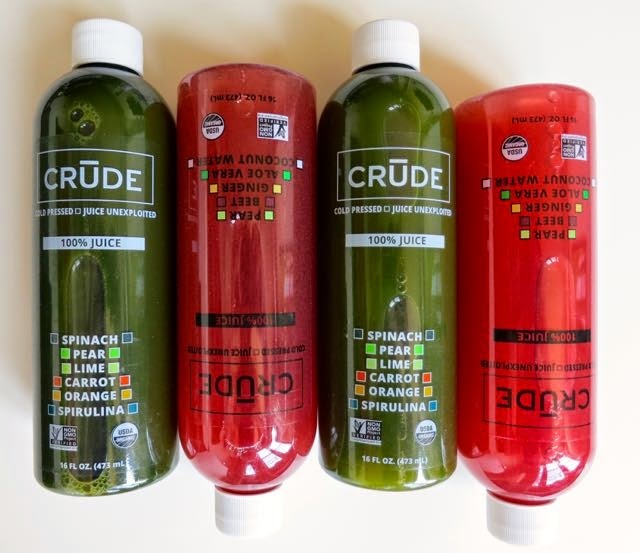 Each juice is high pressure processed (HPP) in BPA-free plastic bottles to preserve the naturally-occurring nutrients. Brett was always interested in whole foods and nutrition and fresh juicing appealed to him. But, he got tired of shopping for all the fresh ingredients he needed to juice; and juice bars in his area were hard to find. So, he perfected his recipes and created his own company to offer fruit and veggie-blended juice in a ready-to-drink format. 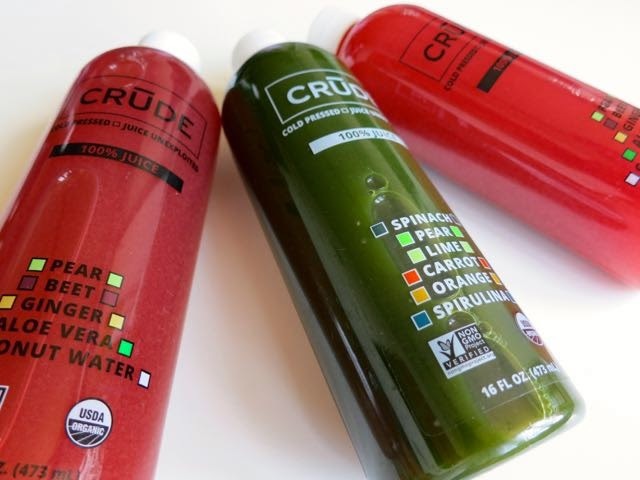 CRUDE has no added water, sugars, concentrates or flavors so it is really 100% crude. I got to try two of the three flavors. My favorite, surprisingly, is CRUDE Red #1. It must be the tanginess from all that ginger that makes it not taste like coconut water because coconut water is not a flavor I enjoy. Instead of cringing from the flavor, I absolutely adored it! Inside the bottle is just pears, beets, ginger, aloe vera, and coconut water. Aloe vera is very good for you for many reasons. I have used it to support digestive health, but there are probably 100 reasons why it is something you should incorporate in your diet. This is a really nice mix that has the hint of pear and beets with the tanginess of ginger that can't be beat! CRUDE Green #1 is spectacular as well. It is a great-tasting green juice made of spinach, pears, limes, carrots, oranges, and spirulina. Spriulina is a superfood that is incredibly high in protein and a good source of antioxidants and other nutrients. It is an acquired taste, but it is used lightly enough in this juice that I think even the most unrefined palate will be able to enjoy it. They have just come out with an Orange flavor as well. What I really like about CRUDE besides them not using heat to pasteurize their drinks is that they do not use concentrates, purees, or added sugars. They are also certified organic and Non-GMO Project Verified. CRUDE just launched a few months ago so distribution is limited. They are currently available in Michigan and Illinois but aspire to be nationwide. They retail for $7.99 each for a 16-ounce bottle. Ask your grocery store to carry CRUDE today and hopefully we'll be seeing it all over the country soon. CRUDE is juice unexploited.